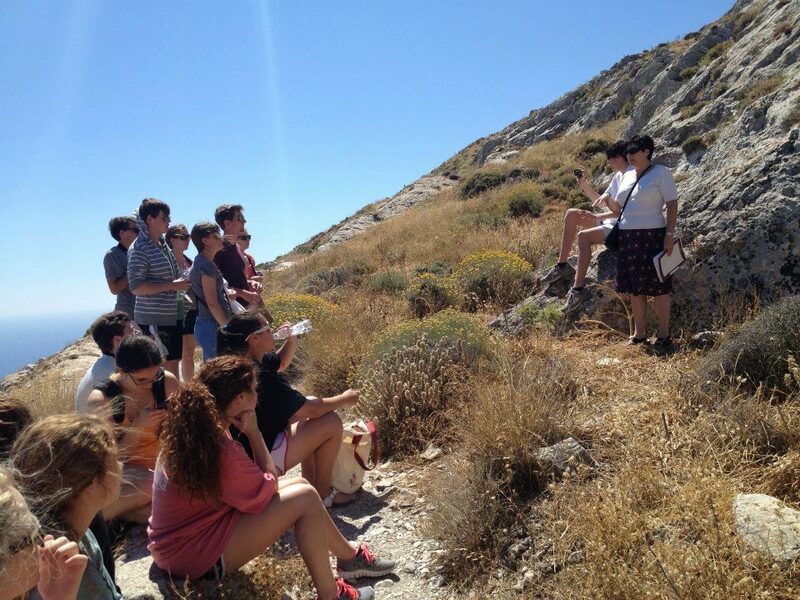 For a number of years, professors from the College of Arts and Sciences have taken their students to Greece as part of summer study abroad programs–programs that either toured cities and sites across the country (e.g., hosted by Modern Languages and Classics, as shown above) or stayed mainly in one city and explored the region through day trips, while working with an AUTh grad student who acted as a local coordinator for the trip (e.g., hosted by Religious Studies [as pictured below]). 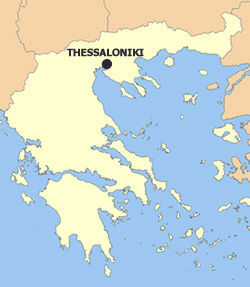 The Alabama Greece Initiative is an effort within the College of Arts and Sciences to move beyond these brief study abroad trips and develop a formal, cross-disciplinary collaborative relationship with Aristotle University in Thessaloniki (AUTH), one of Greece’s major research universities in Greece’s second largest city. 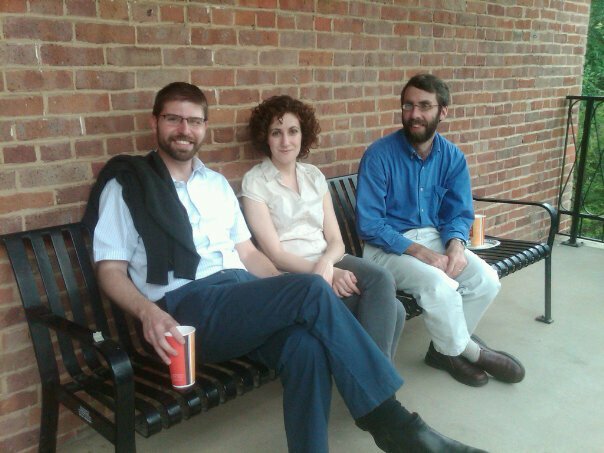 As an initial move in this direction (in the Spring semester of 2010 and then again in 2012), the Dean funded the Department of Religious Studies to bring two Greek doctoral students to Tuscaloosa (first Vaia Touna and then Spyros Piperakis), for one semester each, to work alongside UA faculty as Instructors, thereby gaining experience in a U.S. educational setting. 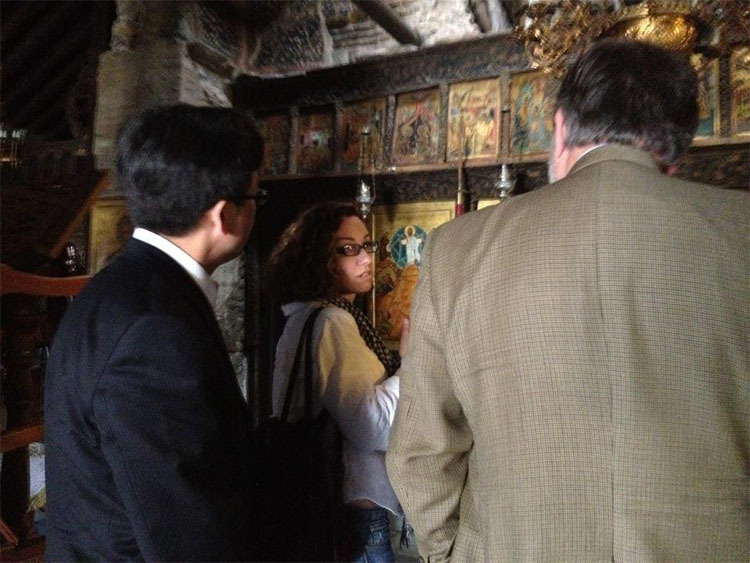 Then, in 2011, a committee of UA faculty representing multiple units within the College, and again with the support of Dean Robert Olin, planned a series of events for the Spring semester, highlighting some of the possible collaborations and topics that an extended connection with Greece might enhance. 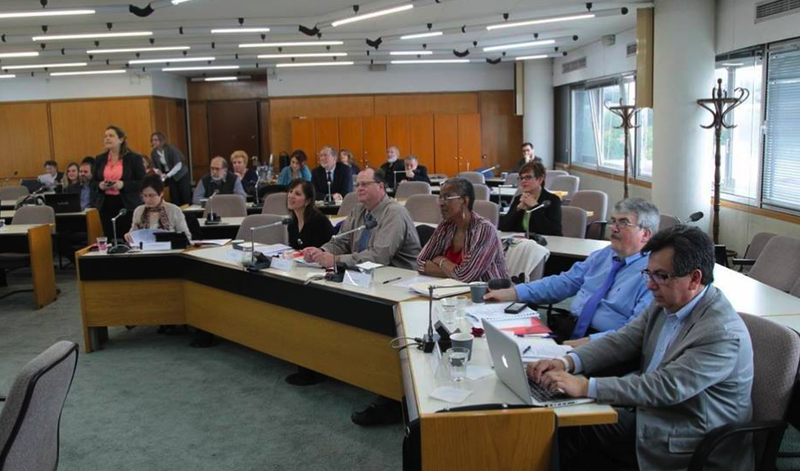 The goal of the Spring 2011 initiative was to host events–including a half-day symposium of A&S faculty discussing their own work on Greece–that could better gauge the enthusiasm across the College for a long term relationship with Aristotle University. 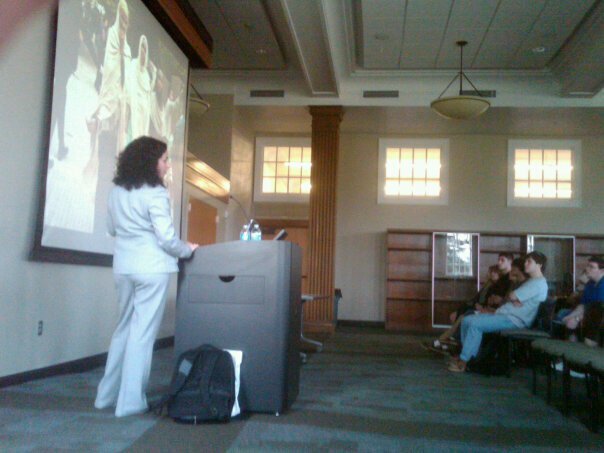 The high point of that semester’s events was bringing two faculty members from Aristotle University to Tuscaloosa to share their research with UA faculty and students: Dr. Angeliki Ziaka (pictured immediately below, during her public lecture held in Gorgas Library) and Dr. Danae Stefanou (pictured at bottom, along with her UA collaborator, Prof. Andrew Dewar [left] and Prof. Steven Ramey, Chair of the 2011 Planning Committee). The Spring 2011 initiative received generous support from the Dean of the College of Arts and Sciences as well as New College, the Department of Modern Languages and Classics, and the Department of Gender and Race Studies, the Department of Religious Studies, as well the College of Arts and Sciences’ Diversity Committee. Members of the wider university community also made important contributions to the initiative, including the Honors College, the University’s Creative Campus initiative, along with the University Libraries and the School of Music. 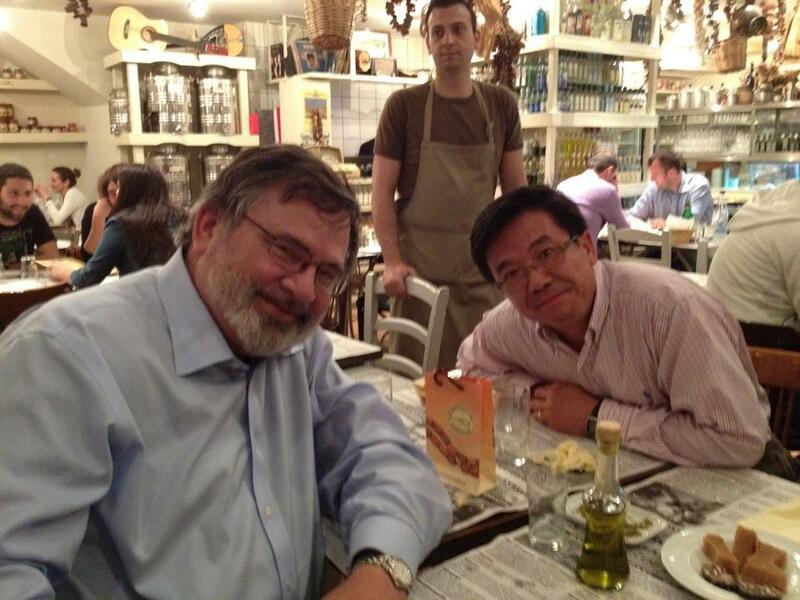 In May of 2012, Dean Olin and then Associate Dean Han (pictured above, shortly after their arrival in Greece) visited Thessaloniki in person for the first time, to meet in person with staff, faculty, and senior administrators of AUTh (such as Prof. Jacques Ganoulis, then the Chair of AUTh’s International Relations Committee [pictured below]), in an effort to further develop and formalize this new and promising relationship. 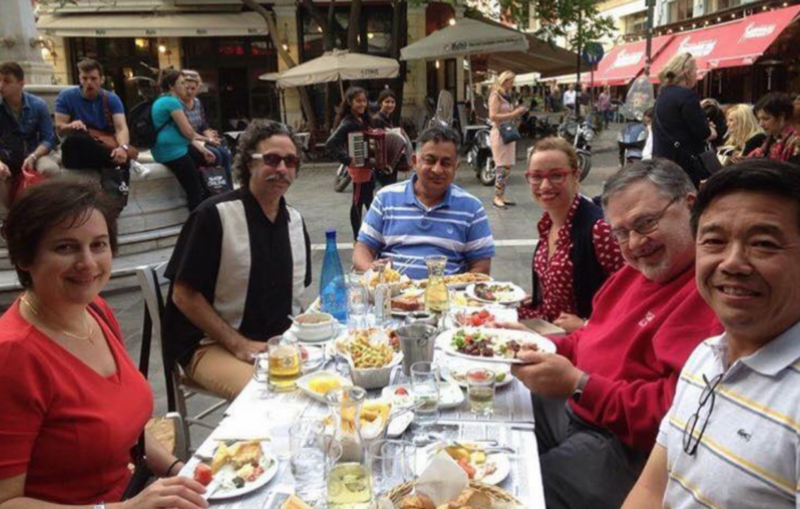 While in Thessaloniki, the UA delegation was joined by Ms. Vaia Touna (pictured below, then a doctoral student in Canada), who served as our guide, interpreter, and chauffeur, and who made sure they ate very well. Upon returning to Tuscaloosa, a formal proposal for an ongoing cooperation was written and submitted to UA’s senior administration and then submitted to AUTh. 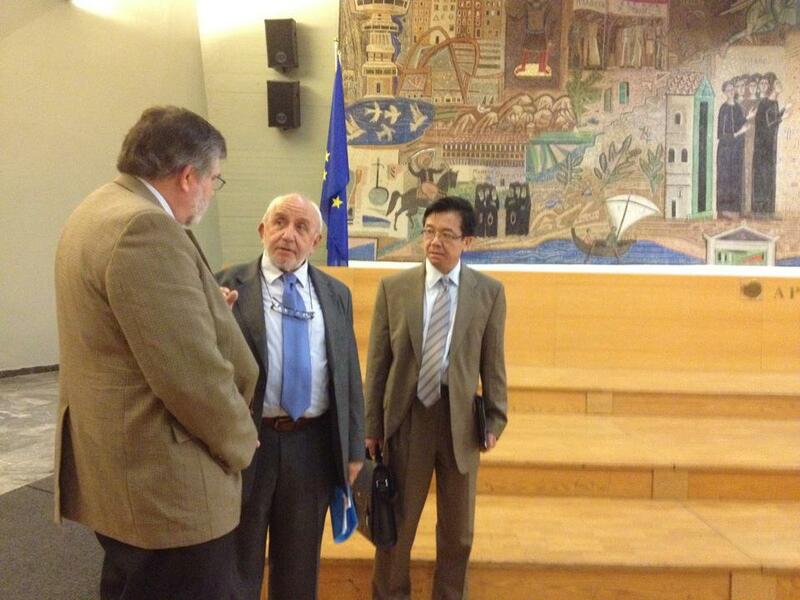 It was signed by all parties and phase three of this cooperation was begun. Learn more about the signed agreement here. 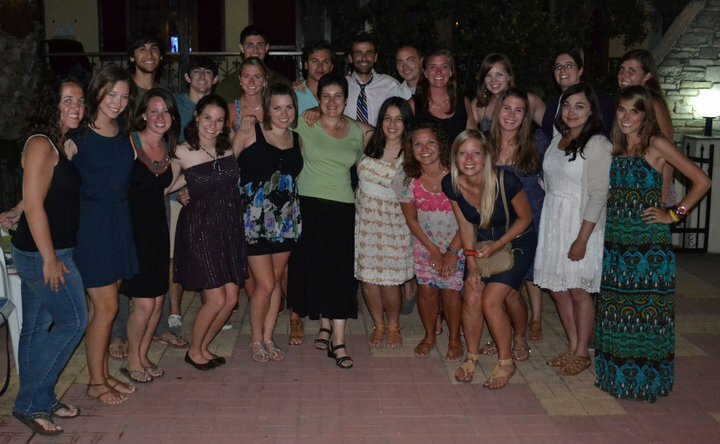 When Prof. Tatiana Summers (Department of Modern Languages; pictured below, center, with her 2011 Alabama in Greece study abroad class) visited Greece again in the summer of 2013, to lead her annual study abroad course, she further discussed with AUTh officials Dean Olin’s hopes for the future of our schools’ collaboration; a call for proposals was then developed to identify (in cooperation with AUTh) a delegation of UA faculty who would travel to Thessaloniki the following year (from May 4 until May 11, 2014), to present their research and to meet AUTh faculty working in related areas. At the same time, an invitation was extended to host a third AUTh faculty member in Tuscaloosa for a week (in mid-Spring 2014), which, like past AUTh guests, will include formal public lectures and informal meetings with a wide variety of interested faculty and students across A&S Departments. 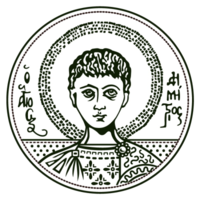 Learn more about our third faculty guest, Prof. Spyros Pavlides, here. 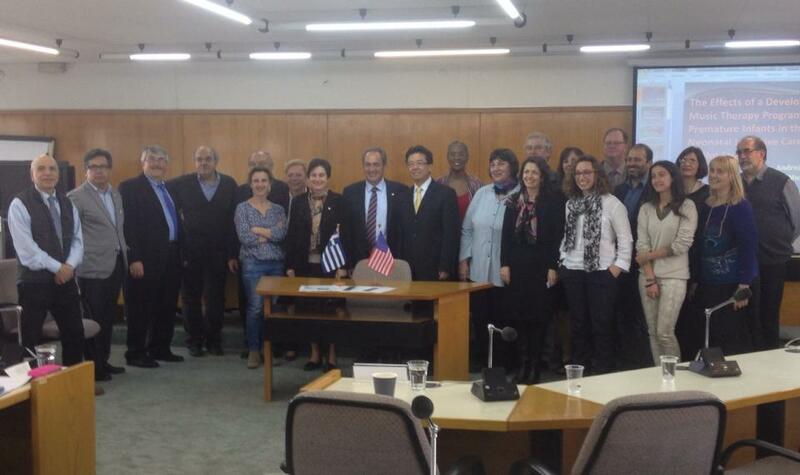 A group of UA faculty, from the College of Arts and Sciences and led by then Associate Dean Luoheng Han, spent a week in Thessaloniki, participating in a conference, touring the city and the region, and meeting with their Aristotle University collaborators (the entire group is pictured below; at bottom is the 2014 UA team at the May 6, 2014 conference where they presented their proposals for collaborative projects.). As a way to publicize their experiences, the College of Arts & Sciences then hosted a one day symposium featuring the May 2014 faculty team, held on Wed., October 22, 2014 @ 1-3 p.m. in Gorgas Library 205. All A&S faculty were invited to learn more about the AL/Greece Initiative. 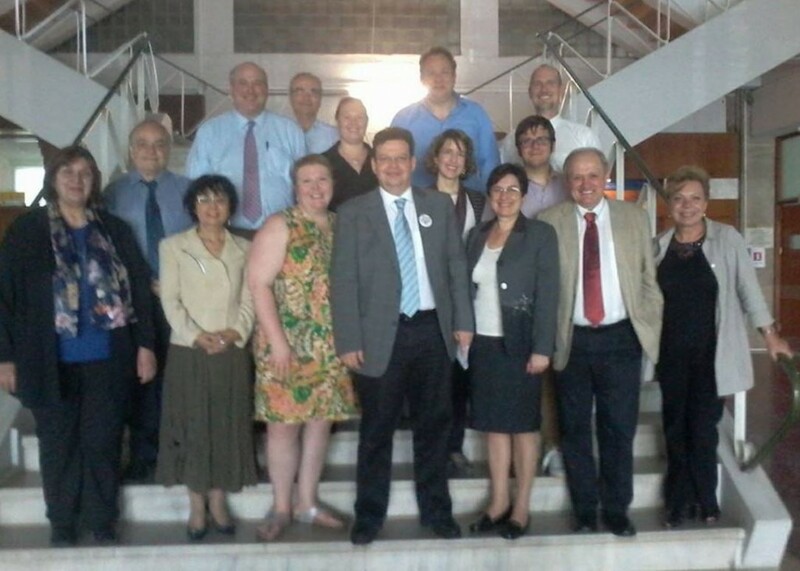 And in May 2015 the second group of UA faculty headed back to Greece to develop new projects (pictured below with their collaborators and, center, the Rector of Aristotle University). In addition, a third group of UA scholars were sent to Thessaloniki in 2016 (some of whom are pictured below, with Dean Olin and Associate Dean Han, both of whom joined the group), to develop yet more collaborative projects with Aristotle University faculty. Then, in the Fall of 2016, a call was distributed among those UA faculty who had already developed working relationships with AUTh colleagues, inviting them to submit proposals to host their collaborator in Alabama, for a week. 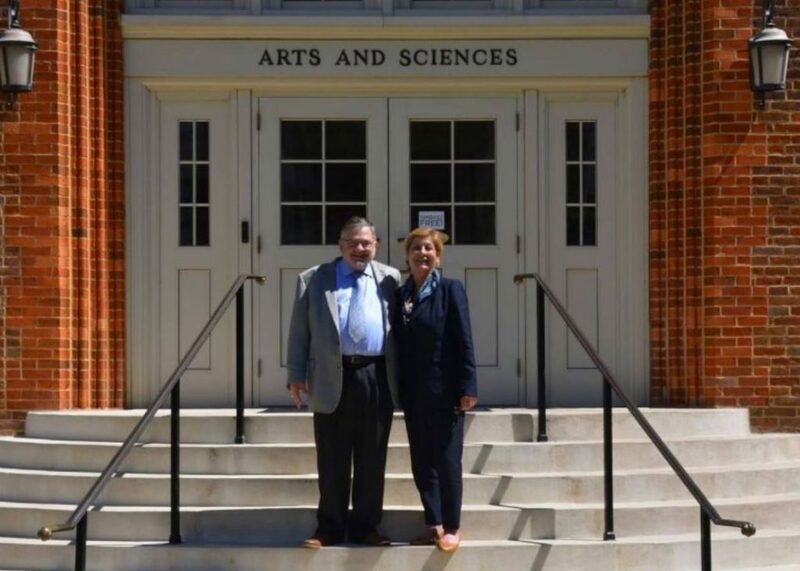 As a result, six Greek colleagues, plus Dr. Ariadni Stogiannidou, AUTh’s Vice Rector for Academic and Student Affairs (pictured at UA, below, with Dean Olin), were funded by the College of Arts & Sciences to each travel to the University of Alabama throughout the first half of 2017. And after bringing the group of AUTh faculty collaborators to Alabama, UA sent the largest group yet, of University of Alabama faculty to Thessaloniki in May 2018. Pictured below: some of the members of the group (including UA’s Assoc. 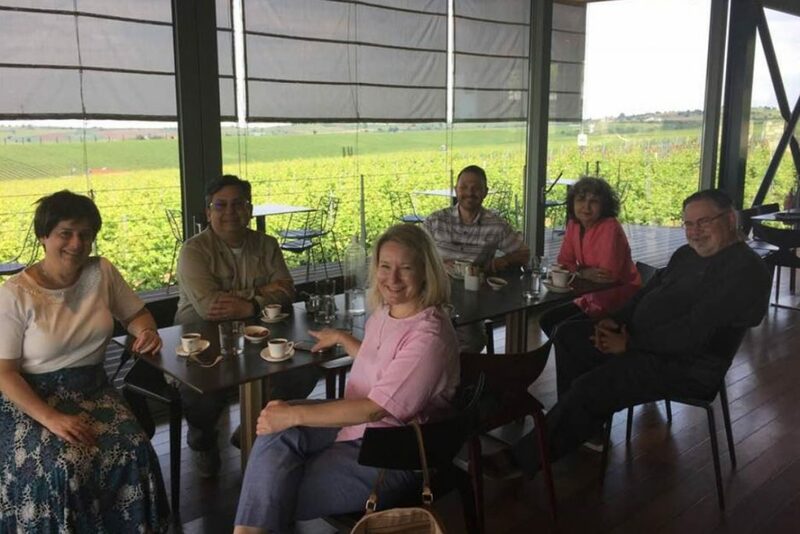 Dean Lisa Pawloski (center front), now leading all of A&S’s international initiatives, started off with a tour of a nearby winery, on their first day in Greece. 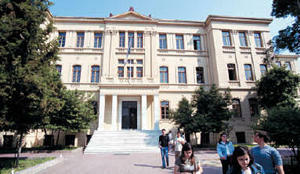 Aristotle University, in Thessaloniki, was founded in 1925, with its first Department being in the Faculty of Philosophy (i.e., the Arts). Today, Aristotle University is the largest university in Greece (its original building, known as the Old Philosophy Faculty, is pictured below); it is home of twelve Faculties (i.e., College), among which are Engineering, Medicine, Pharmacy, the Arts, Theology, the Sciences, Law, and Education (for a complete list, please visit here). It has over 90,000 studen ts and more than 2,000 faculty members. Its students come from all over Greece but also from all around the world. Apart from its undergraduate studies, the university is also well known for its Postgraduate (i.e., Masters degrees) and Doctoral programs. (Learn more about Aristotle University here or its administrative structure here [PDF]). Learn more about AUTH’s faculties (i.e., “colleges”), its various other international agreements, the international networks of which it is a participant, and various international events it routinely sponsors. For more of an introduction to both the city and the university, see the following 2008 video, or the more recent one below.